Unlimited color palettes, varied textures, and bold marks combined with traditional and modern techniques define the artistic vision of Stephanie Ruth S. Rosenblum. She pursued an Educational Degree through Delaware Valley College followed by a career as an Elementary through Middle School Art teacher at a local Christian Academy. She presently teaches art lessons and is the entrepreneur of her business, The Wild Poppy. Her paintings and art quilts reflect the dynamic tension and relationship between traditional and contemporary, organic and synthetic, archaic and nouveau, luminous and tenebrous. What inspires her? Almost anything! God’s creation, her Christian faith, the master painters of old, life experiences, and music are all a source of creativity. She implements Representational, Abstract or Symbolic styles to portray her inspirations through a variety of media. 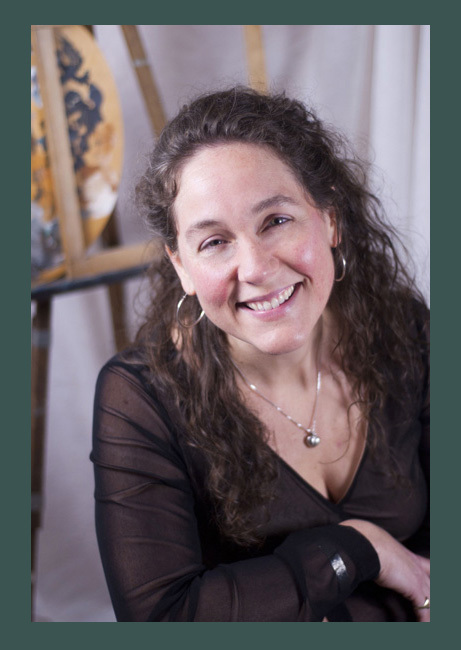 Whether teaching before her students or spending time at home in front of an easel or sitting with needle and thread in hand, she approaches each project with gratitude toward her Divine Maker, supportive family, and prays that her work would be a blessing and enlivening experience for others.